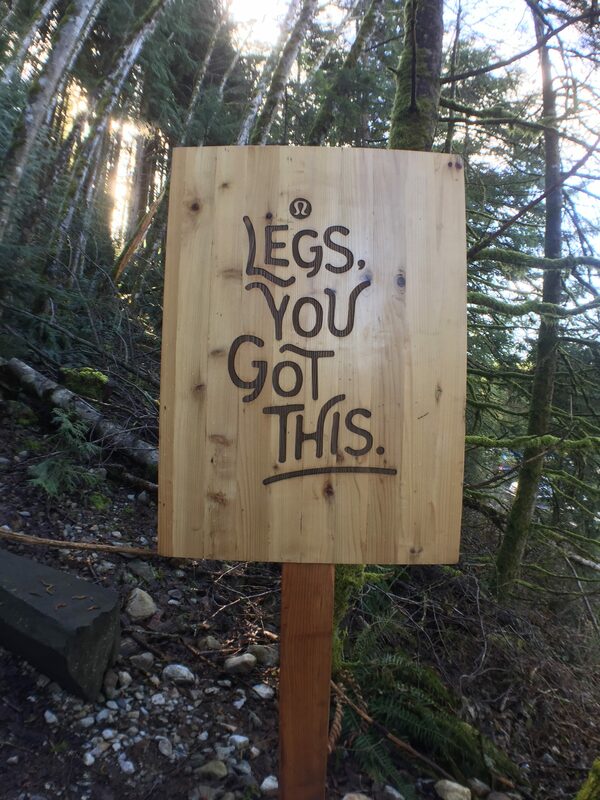 This week’s marathon training update includes a return to the trails and trying out strength exercises by The Pose Method. Let’s get to it! 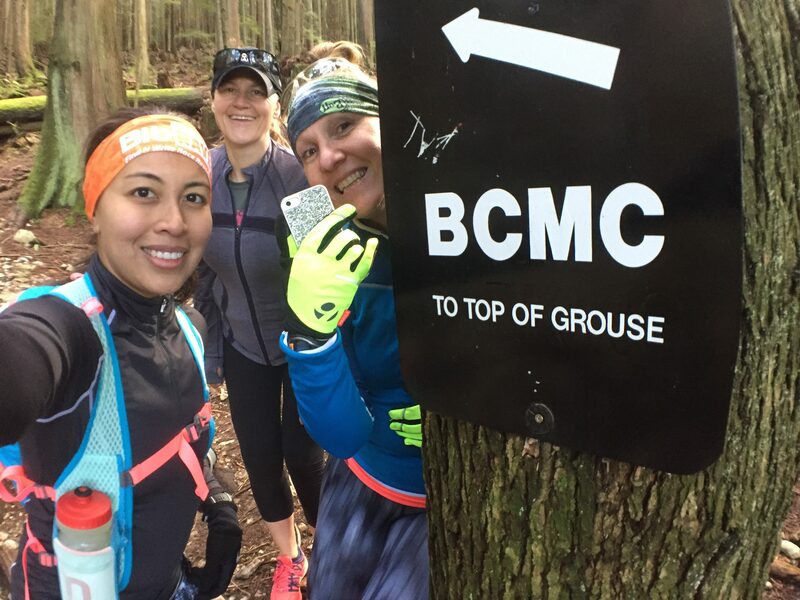 Last weekend, I joined the Ladies of the Trails turtle group and we ascended Grouse Mountain via the BCMC trail. 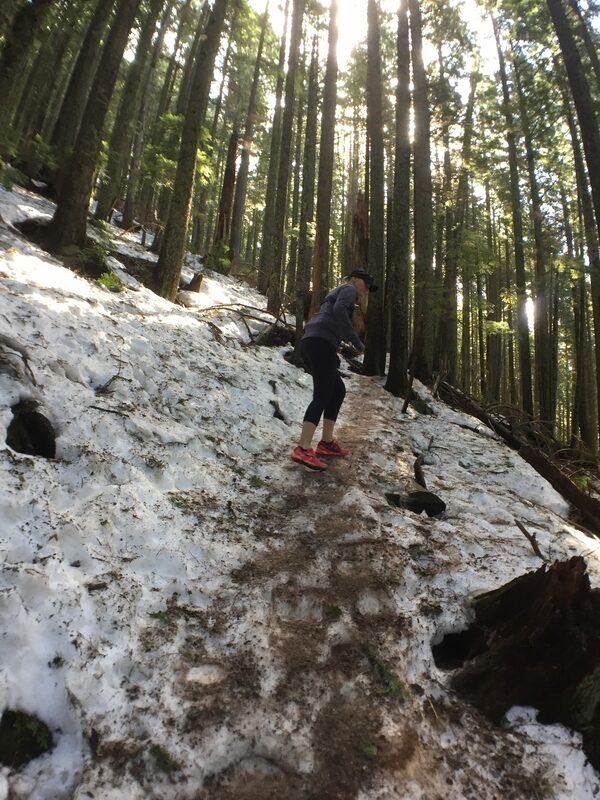 While the Grouse Grind is still closed for the winter, the BCMC remains open for all to use as they wish. Hikers beware, this is not an easy trail and, as of last Sunday, requires spikes or quality trail runners with really good grip. 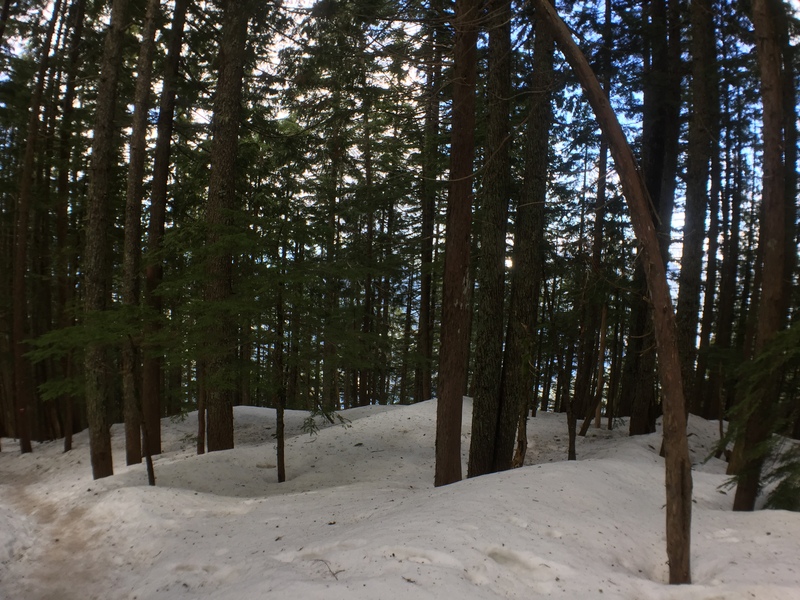 There’s still lots of snow in the top half. See? The BCMC is about the same length as the Grouse Grind except there are more switchbacks and minimal stairs. You’ll have to navigate through rocks, roots, and narrow pathways. It’s a little intimidating and is easy to get lost if you’re not paying attention. You have to watch where you’re stepping but don’t forget to look up and follow the trail markers. 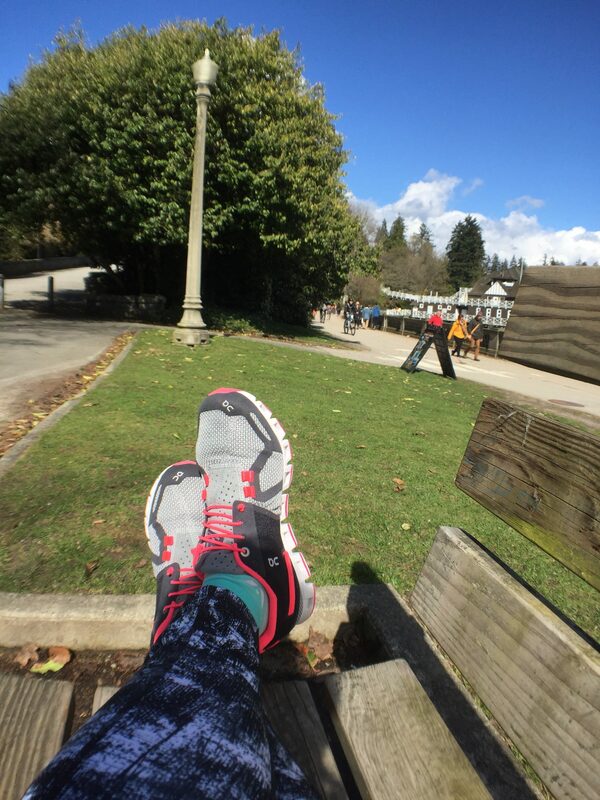 We took the gondola down, then I ran to Ambleside and back home. It was very, very windy on this particular day. After getting sand in my eye, causing it to get irritated, and nearly getting blown off the bridge, I decided to just cut it “short” and ended up with a 22 km day. That would just mean my long run will be pushed to next weekend and I will have to start tapering after that. This was also the first day I tried my new On Clouds. I got them on sale (40% off) at Army and Navy for the big ShoeMe liquidation sale. I couldn’t stop at 1 pair, I also bought Cloudsurfers. The Clouds seem to suit me more though. It survived its 19 km maiden voyage and passed with flying colours. It was springy, light, and comfortable for the most part. A couple of months ago, the Media Director at The Pose Method invited me to check out what they are all about. According to the Pose Method, a stride is broken into 3 parts: Pose, Fall, and Pull. 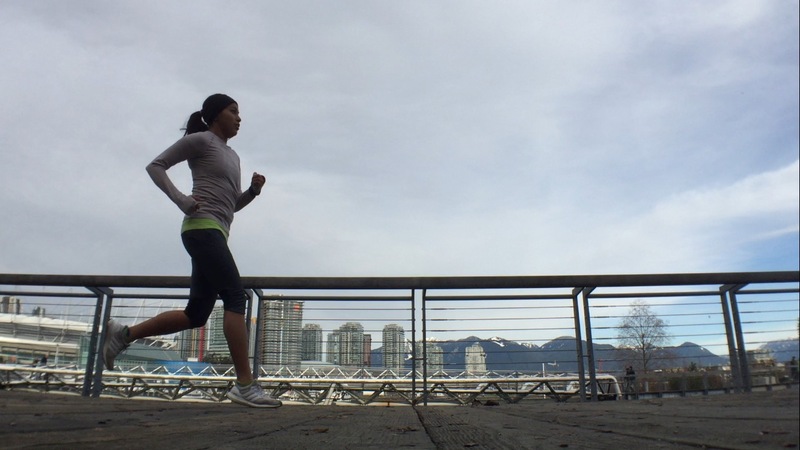 In this technique, the runner takes advantage of gravitational pull to propel forward. They say it prevents injuries and improves performance. Makes sense to me, I’m not exactly sure if I’m doing it properly since I still have my other training ingrained in my head. 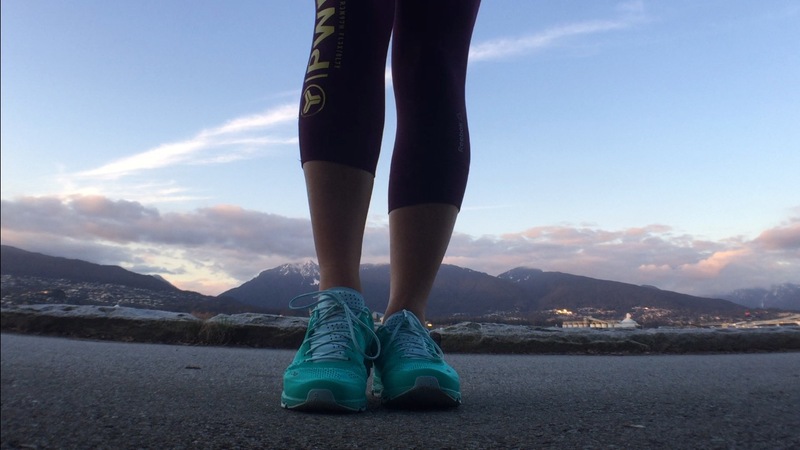 How’s your running journey going? Trying anything new? Share your story in the comments below. 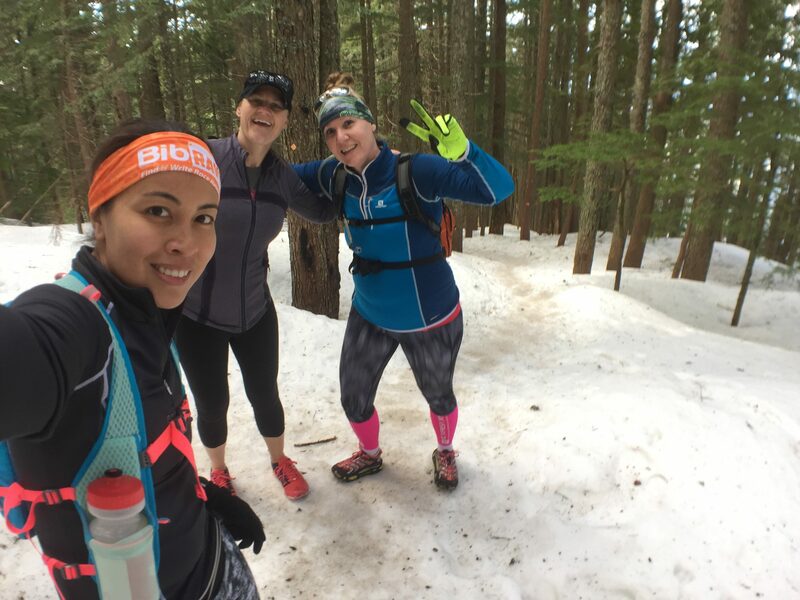 I’ve been loving (hating) the BCMC as a great workout this winter! It’s definitely a challenging trail. 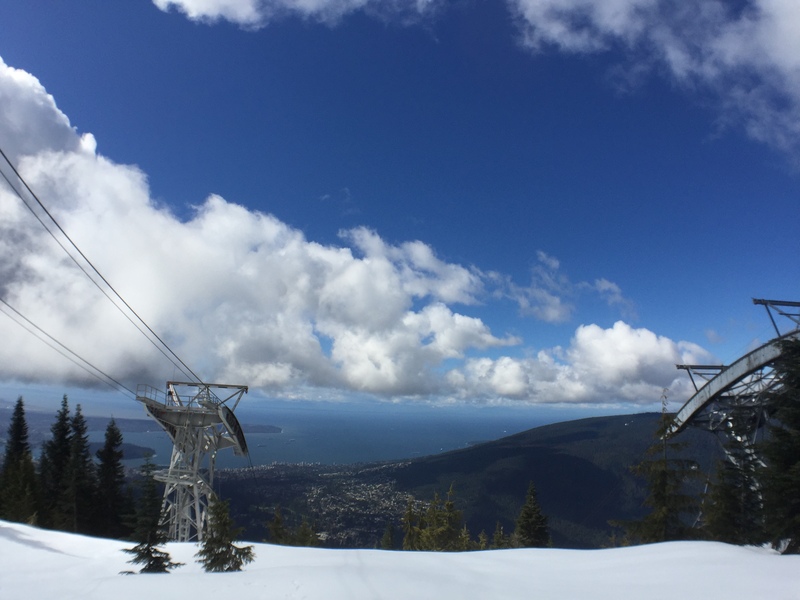 I also read that the Grouse Grind is partly closed because of avalanche risks… so that was a little concerning! Haha. But you’re right, such beautiful views at the top!